As paradoxical as it may seem, cooling using solar energy is feasible using solar heat energy. Solar chillers use heat energy provided by the sun or other backup sources to produce cold and/or dehumidification. The demand for cooling may be driven by different aspects, comfort and refrigeration being the most common uses. In fact, the cooling demand is growing worldwide, even in colder climates, as comfort demand rises. This results in an increase in air conditioning mainly for tertiary buildings but also for residential applications. Refrigeration is increasing as well with a wider variety of use, mainly within the food industry. 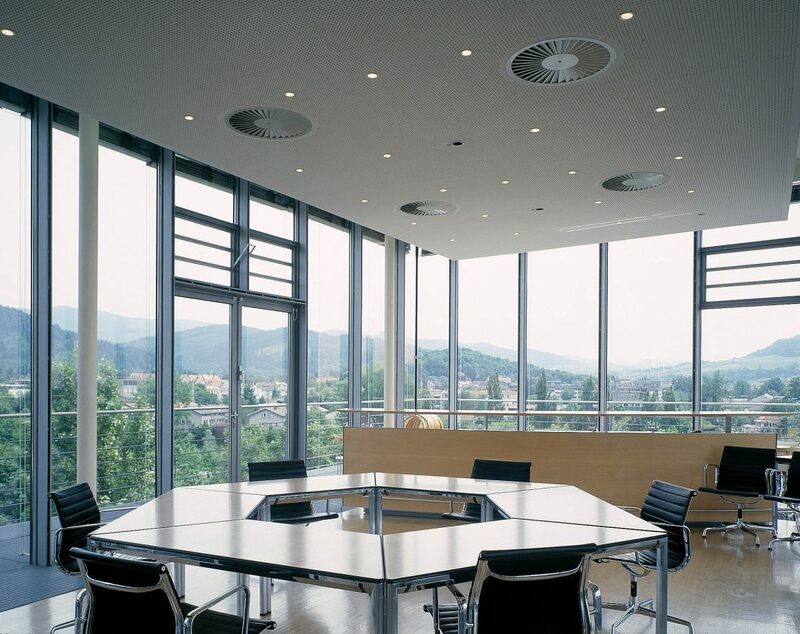 Air conditioning is the main process used for comfort cooling. It involves changing air properties, such as lowering temperature and humidity levels. Refrigeration implies bringing temperature to low levels, even below freezing point. Cooling is basically achieved by retrieving heat from a fluid or gas and transferring it to the environment, which is usually called heat rejection. This transfer can be done mechanically or chemically. 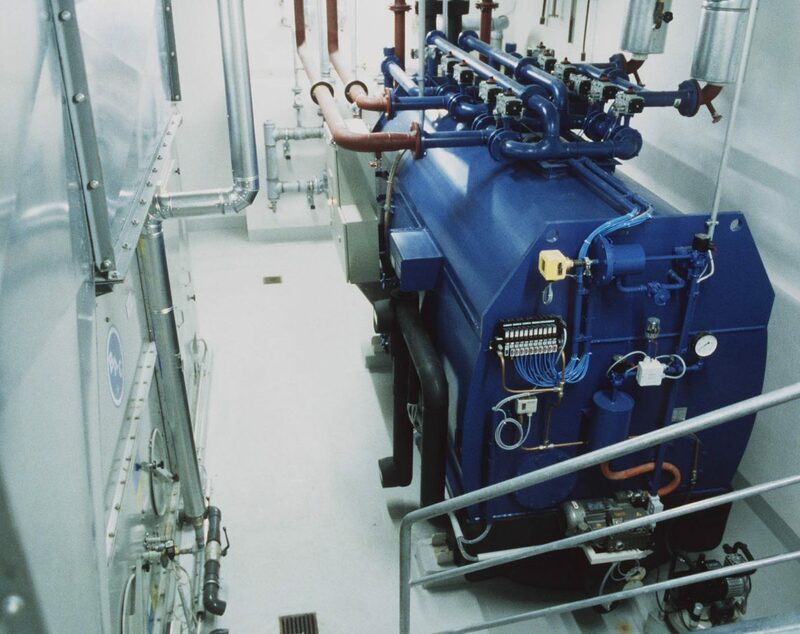 One of the technologies used for cooling purposes are thermally driven chillers. These use thermal energy to cool down gases or fluids. This thermal energy can be provided by different technologies, including solar thermal energy. 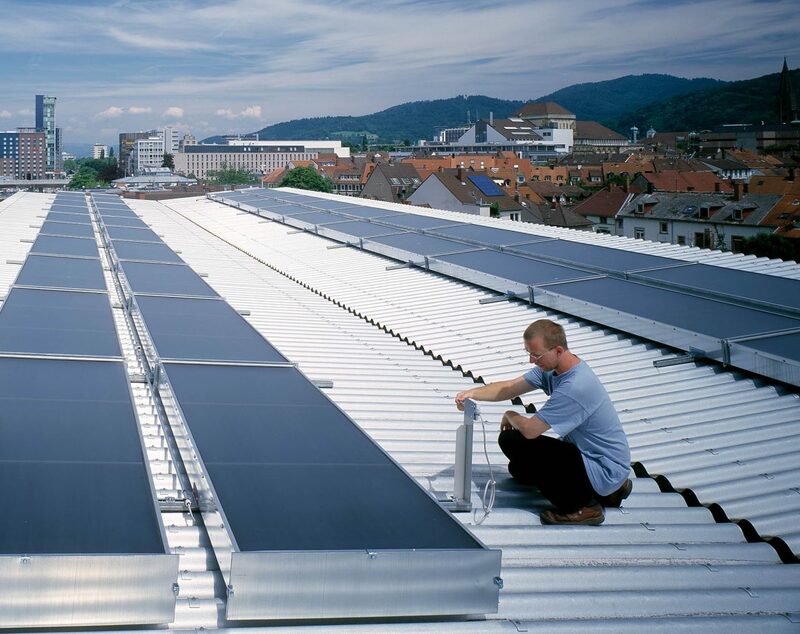 Solar cooling is suitable for residential, commercial, institutional and industrial use. The solar cooling supply is equal to the demand: when the sun is at its hottest solar irradiation is high, the maximum energy is available and the demand is also high. A typical solar cooling system also provides space heating and hot water, besides cooling. One of the main requirements of such systems is to have an effective heat rejection system. This means that applications requiring both heating and cooling are rather well suited for this technology (for instance, dairy farms, hotels or residential houses with heated swimming pool). Average cooling temperature range. The temperature required from the solar thermal plant changes according to needs and desired performance. It can start at 80 °C but some systems operate well above 150 °C. Control: Advanced controls and metering, remote monitoring. Solar cooling systems are complex systems that require advanced metering and advanced controls. Remote monitoring is a great advantage in such systems. Solar cooling systems require high operation & maintenance compared with a regular solar thermal system providing domestic hot water. Expert support is required, with pre-planned maintenance visits. The main feature of a solar cooling system, beyond the solar collector field, is the thermally driven chiller. 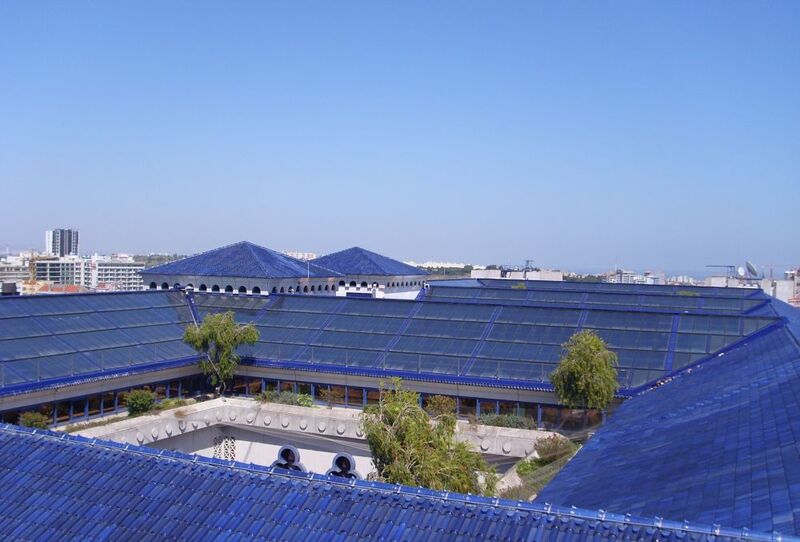 On the thermal supply side, the solar thermal system is rather conventional, consisting of high quality solar collectors, a storage tank, a control unit and pipes. For the cooling process, the main element is the thermally driven cooling machine but the process of heat rejection is also important. This means that cooling towers or other heat rejection solutions are required. The most common technological solution is an absorption cycle: the heat is used to chemically “compress” the refrigerant by desorbing (separating) it from a sorbent, cooling is produced as the “compressed” liquid is expanded in the evaporator to turn into gas. Closed cycles, where thermally driven absorption or adsorption chillers produce chilled water for use in space conditioning equipment. Open cycles, which typically use water as the refrigerant and a desiccant as the sorbent for direct treatment of air in a ventilation system. Generally, solar cooling systems are not installed without backup for cooling and heating. Therefore the majority of the financial savings are on the avoided energy use, rather than on the avoided traditional cooling device cost. The benefits of solar cooling systems cover several aspects: environmental, political and economic. Environmental benefits stem from the capacity to reduce harmful emissions. The reduction of CO2 emissions depends on the quantity of fossil fuels replaced directly or indirectly, when the system replaces the use of carbon-based electricity used for water heating. The savings will be greater if the system provides both cooling and heating, when not operating for cooling or eventually using the residual heat from the heat rejection. Political and economic benefits are associated with the potential savings in energy costs and the possibility of improving energy security, by reducing energy imports, while creating local jobs related to the manufacturing, commercialization, installation and maintenance of solar cooling systems. Regarding the energy costs, and potential savings, there are three main aspects to consider that have a bigger impact on the comparable costs of the energy produced by a solar thermal system. These are the initial cost of the system, the lifetime of the system and the system performance. These factors depend on the location (affecting climate, insulation, taxes, cost of living, etc.) and quality of the system (affecting performance, lifetime and cost). This can vary significantly from country to country. Therefore, average investment costs for solar cooling systems can vary greatly from country to country and between different systems. According to the IEA, the investment costs of solar cooling can range from 1440 to EUR/2880 kWth. In terms of energy costs, solar cooling can range from 126 to 328.5 EUR/ MWhth. Prices, excluding installation cost and distribution system to the building for the package solutions, dropped from about 6000 EUR/kW in 2007 to about 4500 EUR/kW in 2013.